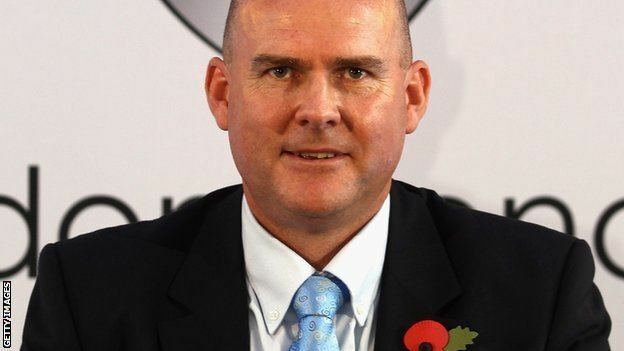 Angus James Mackay (born 13 June 1967 in Salisbury - now Harare) is the former CEO of London Broncos. Gus Mackay played for Zimbabwe Colts in England in 1984 and then Zimbabwe Schools. In 1986 he spent a year at Essex before being sidelined with a serious ankle injury, he then joined English Midlands club sides Barnet Green and West Bromwich. He made his first-class debut in 1998-99 at the age of 31. Mackay won a call-up to the Zimbabwe one-day side which toured Australia and New Zealand in 2000-01. He played three ODIs for Zimbabwe in 2001 as a seam bowler. He was general manager of Mashonaland whilst working as a banker, and in 2006 he was appointed as chief executive at Sussex. At the end of the 2008 season he moved to Surrey as managing director of cricket. Mackay is a former chief executive of Sussex County Cricket Club and Operations Manager of Leicestershire. Between 2008 and 2010 Mackay was the Managing Director of Cricket of Surrey.